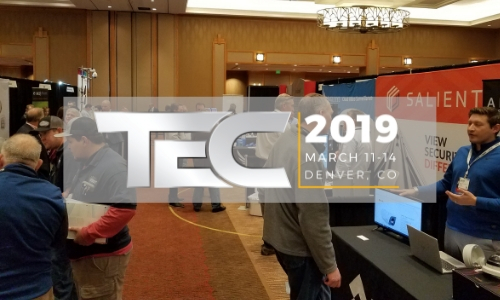 Top-notch training, education and networking have always been the hallmarks of the annual PSA TEC event and the 2019 version was no exception. What made this year’s edition, held March 11-14 at Denver’s Downtown Sheraton Hotel, unforgettable came courtesy of Mother Nature, as a blizzard of historic proportions hammered the region smack dab in the middle of the week. The powerful snowstorm essentially shut down activities throughout the area and particularly wreaked havoc for all means of travel. 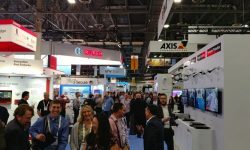 With the storm hitting the day before PSA TEC’s exhibition segment, many vendors and some attendees were unable to make it. 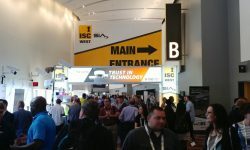 Still, spirits remained high and the leading conference for security integrators drew its customary cast of high-caliber company owners, managers, techs and other top industry professionals. The blizzard was an appropriate metaphor for one of PSA TEC’s most prominent topics —cybersecurity. 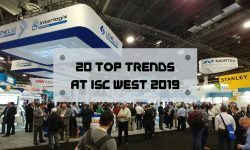 The organization was one of the first in the electronic security industry to recognize the enormous impact of cyberattacks to networked systems, and to take action to elevate the awareness and inspire proactivity among both integrators and their equipment manufacturer partners. It was slow to take but the electronic security industry has caught up to the point where it is now taking cyber very seriously. Anyone looking for a vivid example of how a network breach can turn an organization, and often other entities and individuals associated with it upside down, need look no further than the blizzard. Just as in a cyberattack, extreme weather waylays standard modes of operation and leaves destruction and potentially chaos in its wake. While myriad elements are involved, in a nutshell the key is to be properly prepared for both the incident and its aftermath. In this case, the city of Denver and surrounding towns demonstrated how critical such measures and tactics are when a massive storm strikes. Consequently, the ultimate toll on people’s lives and well-being as well as the impact on public and private organizations was minimal. 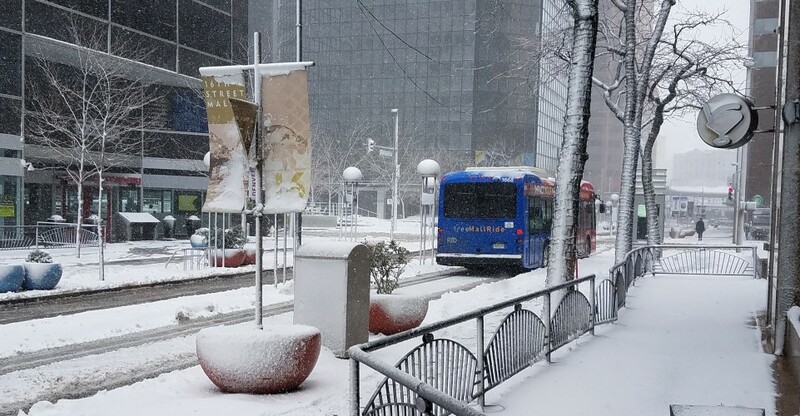 A scene from snowy downtown Denver. Like natural disasters, cyberattacks are inevitable, and so the takeaway for security integrators and their suppliers is to take all possible steps to mitigate the ill effects a breach. 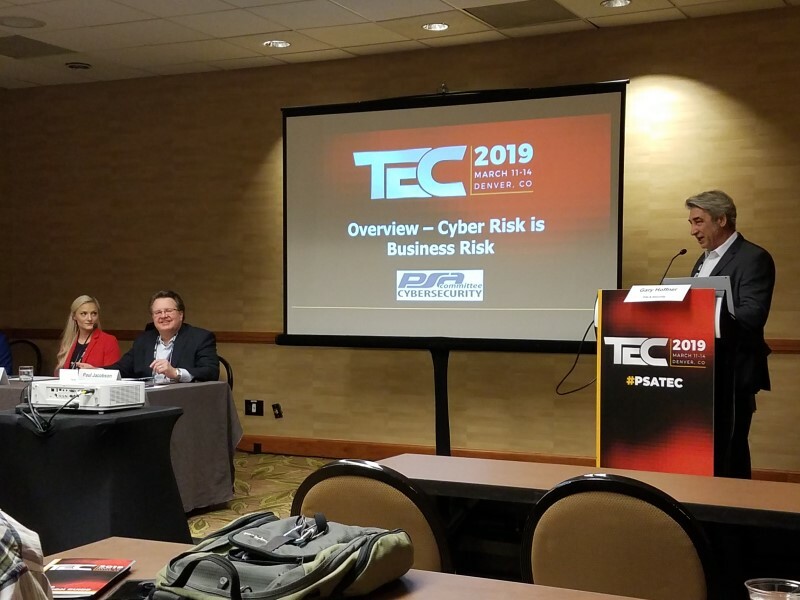 That mentality was emphasized during the panel discussion, “PSA Cybersecurity Committee: Overview ― Cyber Risk Is Business Risk,” one of several cybersecurity-related sessions offered during TEC. 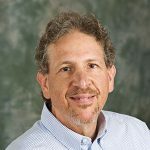 “You need key personnel from throughout an organization to be ready to leap into action when a breach occurs,” said SilversJacobson Managing Partner Paul Jacobson. 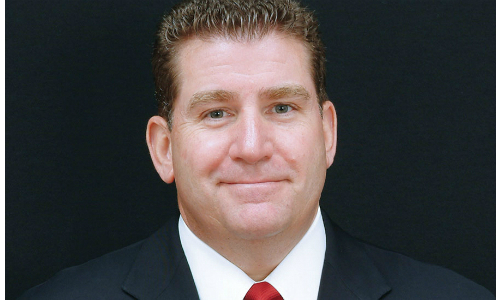 “Cyber policies as well as incident response plans that incorporate proven best practices are imperative,” added McGriff Insurance Services Vice President Wayne Dean. “Be aware of industries with strict cyber policies like healthcare, where not being in compliance can bring hefty fines,” offered INSUREtrust Professional Line Broker Hannah Hoeflinger. The cybersecurity topic bridged the other most prominent topic at PSC TEC: security integrators transitioning from being strictly project-based businesses to incorporating services that generate recurring monthly revenue (RMR) and, therefore, create a steadier cash flow. 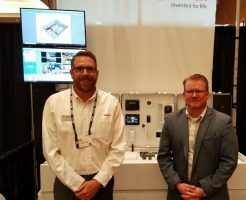 To that end, PSA officially launched its new Managed Security Services Provider (MSSP) program at TEC that includes a number of strategic partners aligned to help integrators get started and continue to progress with managed access control, video surveillance and cybersecurity offerings. PSA President and CEO Bill Bozeman, a member of the SSI Industry Hall of Fame, stated during the event that member response to the new MSSP initiative was overwhelming and exceeded his expectations. Indeed, sessions like “PSA Managed Services Committee: A Roadmap of Transition ―Building a Managed Services Business” were standing-room only. “This is a paradigm shift that means departing from old habits and models. A key is being crystal clear with customers as to what pain points of theirs you can alleviate,” said Ollivier Corp. President & CEO Louis Boulgarides. “You need to designate a champion or managed services leader within your organization. And you have to retrain both your salespeople and technicians, and properly plan and execute your marketing,” said Engineered Security Vice President of Engineering and CTO Ken Whelan. “Give customers options as it will make them feel more comfortable with managed services. Cybersecurity will become a natural extension of the access and video offering,” added PSLA Security Vice President Gary Hoffner. Historically, one of the most anticipated and best-attended PSA TEC sessions is the annual “State of the Industry,” which this year was moderated by Bozeman and featured on the panel National Systems Contractors Association (NSCA) Executive Director Chuck Wilson, Security Industry Association (SIA) CEO Don Erickson and SecuritySpecifiers Founder and Managing Director Ray Coulombe. The primary topics included school security, 5G communications, electricians’ turf battle with security, China-sourced security products, the overall economy, emerging technologies, and workforce management and development. Specific highlights included Wilson and Erickson talking about the successful NSCA-SIA collaboration resulting in the Partner Alliance for Safer Schools (PASS), in which 65 experts contributed guidance for K-12 stakeholders to better protect education facilities. Wilson said the materials have been downloaded more than 1,400 times thus far. Coulombe said 5G would be a transformative technology but that its relatively short range means thousands of antennas will have to be deployed ― which he pointed out could be a business opportunity for security integrators. Other tech areas he said he was following closely were artificial intelligence (AI), the Cloud, Big Data and cybersecurity. Erickson added to that mix by spotlighting counter-drone technology, which he believes could soon become a viable integrator opportunity. Lastly, everyone on the panel agreed that data privacy is looming large as an area in need of more industry attention. 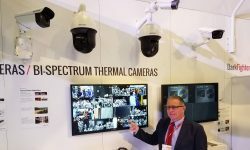 Erickson also discussed how workforce management and development has reached almost crisis proportions for the security industry, and thusly SIA is directing substantial resources toward helping improve a dire situation. Cybersecurity was a major topic at this year’s event. As part of that, the organization is also heavily promoting the industry to women and minorities to help diversify what has been a primarily homogenous profession. “We are heavily focused on this, and I urge other industry organizations to do the same. 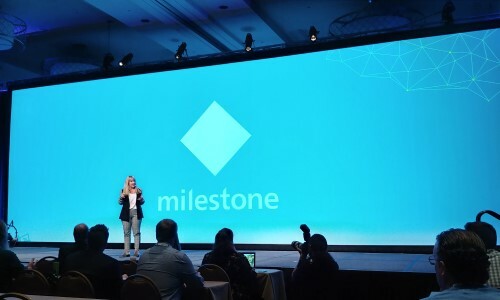 Diversity enriches the entire industry and also speaks to elevating the profile of the entire security industry, something that is also sorely needed,” said Erickson. Wilson pointed out how NSCA’s successful Ignite internship program is an example of a way to build awareness and offer young people career opportunities. Wilson also talked about the intensifying conflict with the electrical industry because they see the trend of power being carried on data cabling (PoE) as encroaching on their turf and as an attempt to circumvent the need for their skills. Hence, their organizations are pushing to change standards, licensing and legislation, and so the security industry needs to be on guard and ready to meet these challenges. “Because of this, expect to see more apprenticeship requirements in the security industry,” Wilson said. As far as the security industry’s overall outlook, the panel concurred that the economy is good but not great. While most vertical markets are trending up, profitability continues to be more challenging due to shrinking margins caused by factors such as heightened competition and product commoditization. Another positive sign is the backlog of business has risen and so most integrators have plenty of work lined up in their pipelines. Finally, regarding the controversy over Chinese security products, the panel was mostly noncommittal. However, Coulombe did note because security consultants tend to be risk averse that they are probably less likely to specify those products. Erickson conceded that we may see stricter rules governing the deployment of those products in the near future. Ultimately, despite the inclement weather, by the time PSA TEC wrapped up most of the participants and attendees headed back to their businesses on a Rocky Mountain security high — at least those whose travel was not postponed (in some cases several days) due to the blizzard causing nearly 1,400 canceled flights. 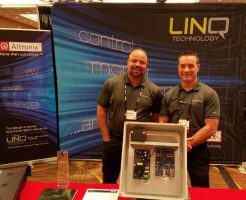 Check out what PSA TEC vendors brought or announced at the event by viewing the slideshow.